Older Single Mum: Single Mums' Stories 6 - Kairen (Confessions of a Single Mum) Varker. Single Mums' Stories 6 - Kairen (Confessions of a Single Mum) Varker. 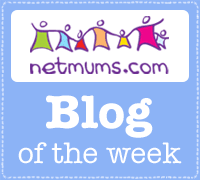 Kairen Varker has been blogging as Confessions of a Single Mum since 2008 and is consequently one of the foremost voices for single parents. She is 40, divorced 11 years ago and has a daughter aged 15, plus a son aged 12. They live in Cornwall since her adoptive parents moved there 33 years ago. She has written about finding both her Birth Mother and Father and their continued contact. She is presently self-employed, mostly doing wonderful things with websites and also has a thriving craft and beautiful, original greetings card site http://www.karoove.co.uk/. Kairen (Confessions of a Single Mum) Varker. (40). It feels slightly odd to write about how and why I became a single parent as it was 11 years ago. In my head it feels like a hundred years ago. There was nothing remotely scandalous that led up to my divorce unless you count the only fact that I wasn’t happy and spoke up. It was the first time ever I trusted my gut feeling and acted on it. There was no turning back once I uttered the words out loud that I was unhappy and in 2 short months I went from living in the family home, married and employed in his business to the complete opposite. There wasn’t even any hatred, well not on my side, I just simple wasn’t happy and knew no amount of talks or changes would fix it. I can’t say the same about my ex husband as he was a tad narked at my admittance. The first few years were the hardest. I had to be positive enough for not just myself but for him too, whilst he handled it the best he could, badly. I had to live through several incidents that involved the police, the least of them being my car would mysteriously develop dents over night and graffiti would appear on the garden wall regularly. I remand steadfast, discovering strengths I never knew I had as I had to be the stable sensible one. In hindsight I learnt a lot about my ex husband as we went through the divorce, I saw a side of him that confirmed I had made the right decision. I was lucky to find an understanding landlord that understood my situation and fell back on my trade as a seamstress and would sew anything for anyone to earn the money. I had been a seamstress from a young age. My mother sewed and taught me the basics, at 16 I had left home and embarked on an apprenticeship as seamstress. I stopped sewing when I was married as my husband couldn’t understand why I liked it and would complain if I did and say the sewing machine was making too much noise. It was ironic that as I was divorcing all my friends were marrying. I wasn’t complaining though as I was able to earn money making one off wedding dresses. But my head wasn’t in the right place. I was hardly in a hearts and romance mood and eventually stopped sewing to take an office job. The whole early experience taught me many lessons. Money isn’t everything; happiness is worth so much more as there were days when I had to choose between putting the heating on or buying food as money was stretched. I learnt that I had so much inner strength that I was still able to bring up to sensible and caring children who love their father. Over the past 11 years I have drawn on my inner strength and gut feelings many times. I gained promotions, too much on hindsight and the stress put me on the path of having M.E. I trusted my gut feelings again and changed jobs and eventually going self employed. Another hard time and back onto baked beans most nights. But the children and I have never been happier, proving again that money isn’t the most important thing. The last few months have been challenging with my return to being ill with M.E again, this time badly. I don’t know why but I am being drawn back to sewing again. A new chapter is about to begin and it’s exciting not knowing where it will take us. I completely echo the sentiment ' money isn't everything '. 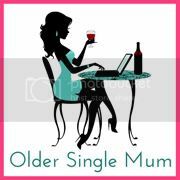 Lovely post my dear and another great addition to your series Older Single Mum ! I totally agree with you that money isn't everything. I am so aware of the happiness levels of my children, to me their contentment is Important with a capital I. Your little shop looks lovely, especially the black and white hearts. Very stylish. Thank you for your continued support ladies. You have all made this a wonderful series. A few more to come yet! Another uplifting story about how you have to be true to yourself. It's been brilliant to be a part of this. Thank you Older Single Mum for arranging it all. Ladies, thank you for all your comments and support. As always, Ellen has summed up things beautifully, in a nutshell. Kairen is a fine example of what we're about and we are glad to continually inspire and be of help. "I've never been happier" - I think that's a sentiment echoed by many single parents, I can't actually imagine life any different and really wouldn't swap with any of my married friends. You sure are a fighter Karen. And the other one, you can be lonely in a crowd. Don't regret any of it really.